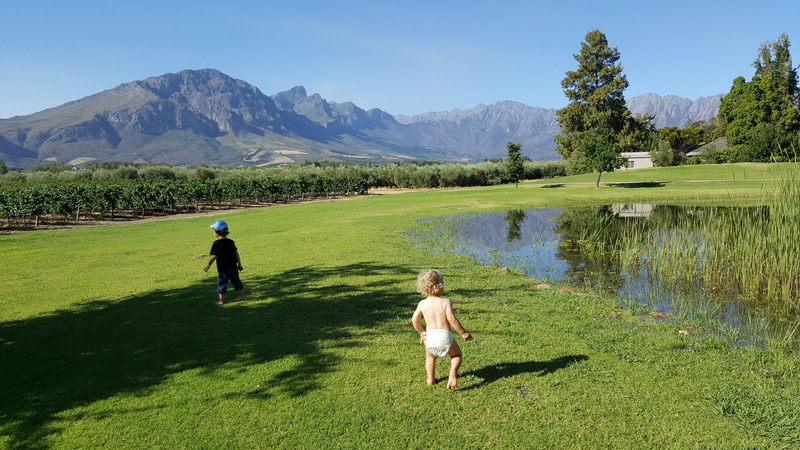 A pal invited us to spend his birthday with him at Saronsberg Cottages, and we leapt at the chance to enjoy a taste of Tulbagh (our first time there). 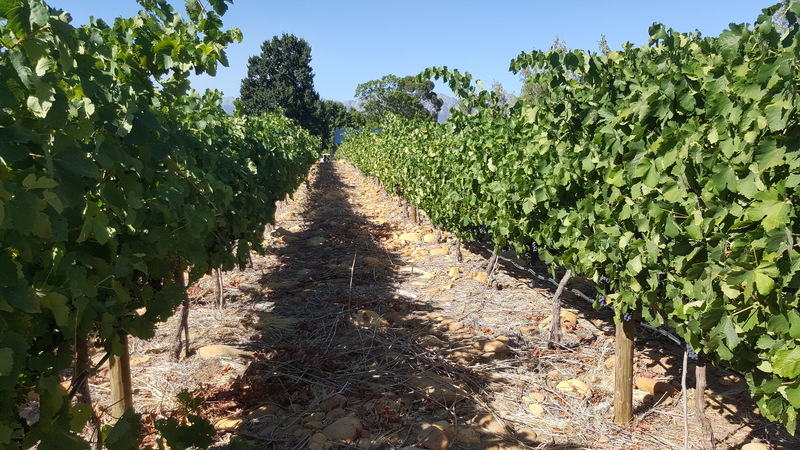 It's only a 90 minute drive to Saronsberg (a similar distance from Cape Town to Hermanus or Langebaan) - which is within our children's range of tolerance - and sufficiently far from the urban noise. 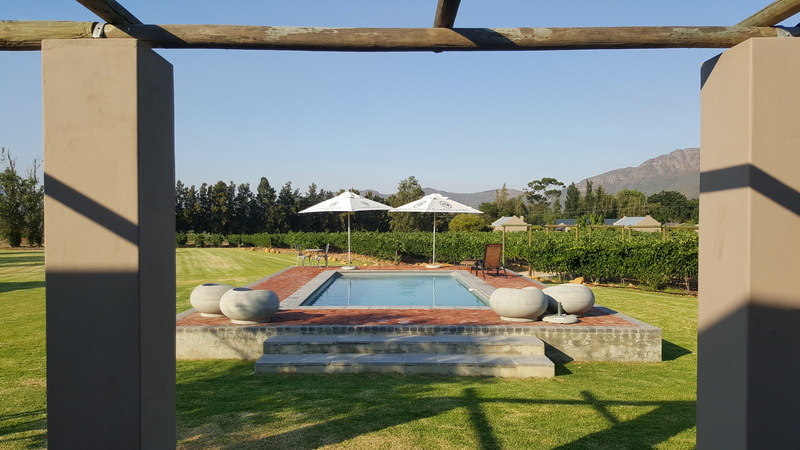 There was a bit of confusion on arrival as everything was closed, so we phoned (phone 023-004-0435 or email relax@saronsberg.com) and found out they'd left our cottage open with the keys in it. 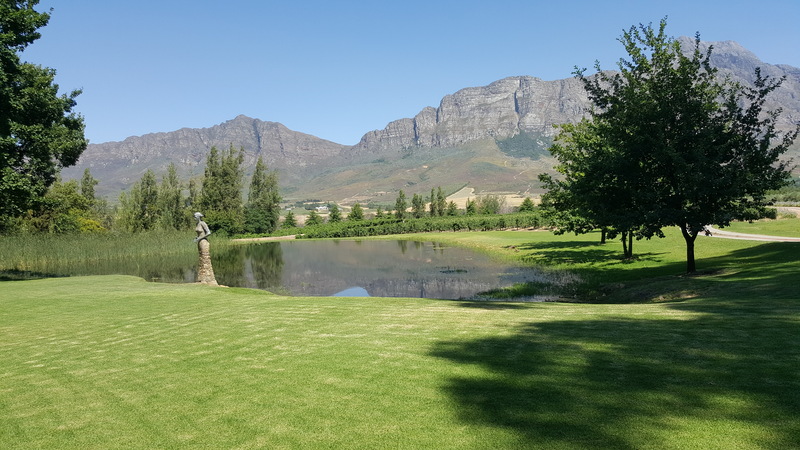 We spent our time braaing, watching the stars through the crystal clear night skies, lazing around the pond and swimming in the pool; the enjoyment enhanced by the beautiful mountainous backdrop. If we were there for longer than a night, we would have also explored the Tulbagh town, done some hiking and packed the mountain bikes. 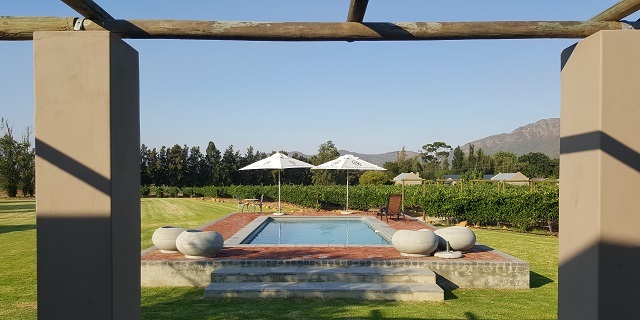 The pool is a cold water pool (chlorinated), which is exactly what you want during hot summer days - and yes, it does get very hot in Tulbagh in summer. In the middle of the heat, the air conditioned bedrooms are pure bliss. The cottages have 2 bedrooms eac hwith its own shower and toilet, and a large main room with a lounge suite, kitchen area and table. Outside each cottage is a private fireplace. If you're into wine tasting then Saronsberg is just where you want to be, to sample its award winning vintages. Our children loved exploring the vineyards, the pond and even paddling in to hide amongst the reeds. 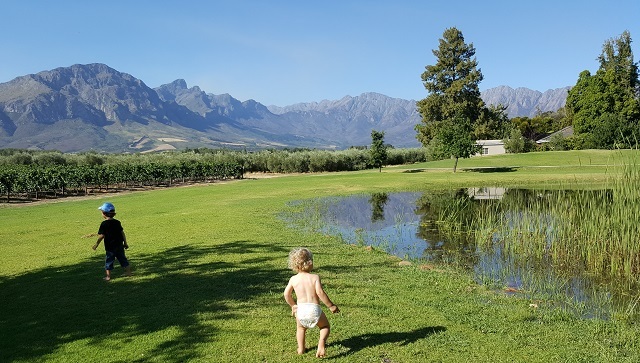 I wouldn't describe Saronsberg as a place geared towards kids - there weren't any items like jungle gyms to keep them busy, and most aren't into wine tasting (!) - but we were only there for one night; and the kids had fun in the pool, wandering about the grape vines and exploring. If you or the kids want to spend your time watching TV, don't bother going (there are no televisions in the cottages). 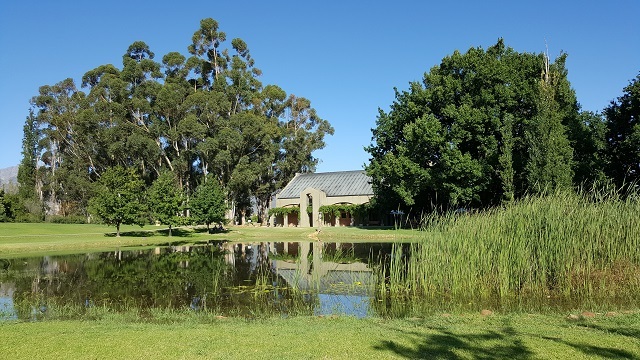 Here's the main building at Saronsberg, which is where the wine tasting happens, and it also houses a small art collection. Saronsberg provided just the break we needed from the concrete jungle, and is well worth a visit. It's also worth a thought for using as a wedding venue or for a team building (there are conference facilities).